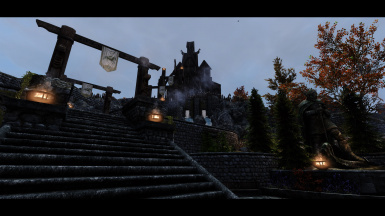 Racemenu Preset - Sheylar Skyrim Re-Engaged for NAT - I include an enbseries.ini to go with the quality version if it is too performance heavy. NAT Preset (9 Mar) Updated to V1.3 of Adysss's Shader Add-on (God Rays) and slightly adjusted settings for update. No other changes. Obsidian Preset (9 Mar) Updated to V1.3 of Adysss's Shader Add-on (God Rays) and slightly adjusted settings for update. No other changes. Vivid Preset (12 Mar) Updated for ENB Binary V.372 which adds weather support however, did not enable for preset at this time. 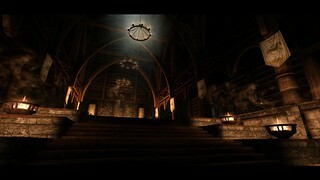 Added Adyss's ENB Shader Add-On which adds God Rays. Did a slight tweak to saturation/color and HDR as well. Dolomite Preset (15 Mar) Overhauled preset. Enabled eye adaptation for better brightness balance. HDR, DPX, Technicolor, Contrasts, Brightness and TDI settings adjusted for better balance. Added in Ady's Shader Add-on (God Rays). 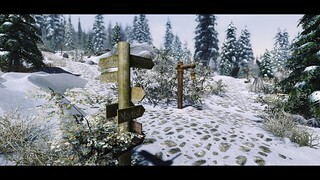 Updated for ENB binary .372 which does have weather support but, not enabled in this version of preset. Obsidian Preset (2 Mar) Updated for ENB Binary V.372 which adds weather support however, did not enable for preset at this time. Added Adyss's ENB Shader Add-On which adds God Rays. 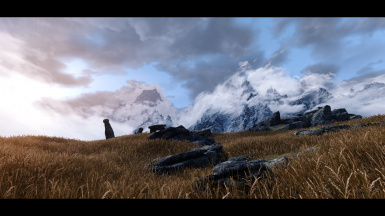 NAT Preset (3 Mar) Updated for ENB Binary V.372 which adds weather support however, did not enable for preset at this time. 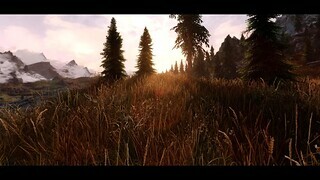 Added Adyss's ENB Shader Add-On which adds God Rays. Did a slight tweak to saturation as well. All Presets (16 Dec) updated for V.368 binary which adds in distant shadows. All presets (13 Dec) - All presets updated to ENB Binary V.365. Adds in shadow effect for both complex particle and fire lighting. I have it off by default due to possible FPS hit for some. You can turn on if you want to use. All Presets (10 Dec) All presets updated to ENB Binary .363. Which adds in PrePassShader(not active), skin specular effect, complex fire lighting, complex particle lighting. I also disabled Night Eye Fix by default due to in being activated by spells and such. Those wanting to use fix will have to turn on in the enbeffect shader. No color changes or adjustments made. 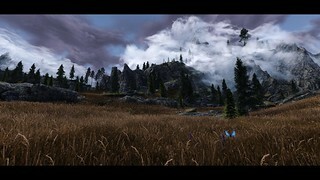 All Remaining Presets (16 Sep) Updated for ENB .352 which adds in Skylighting. All Presets (2 Aug) - Updated enblocal.ini and file structure for new ENB Binary .347. Which adds in shader cache for faster loading. No other changes. V6.4 Obsidian Preset (13 Jul) Enabled Eye Adaptation. Adjustment to sky gradients and clouds. Also adjustment to SSAO and SSS for better look to skins. Slight tweak to TOD settings and color settings. 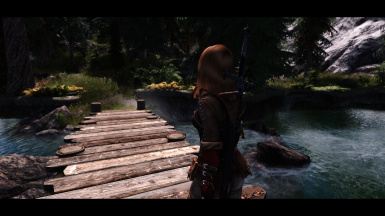 All Presets (10 Jul) All presets updated with Night Eye Fix so that night eye/vampire vision will work with ENB. I separated all the 6.2 ENB presets. No changes were made to the preset themselves. I needed to separate to help me with updates and I am releasing a new Install video. 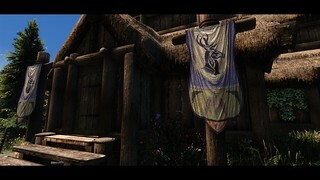 All Presets - Updated to ENB Binary V.345. Adds in Point Lighting and Screen Space Reflections. NAT, Obsidian, COT, Aequinictium, Vivid and Dolomite Presets had adjustments to contrasts, color, clouds. sky, window lighting, lightsprites, SSS and HDR for a better looking image quality. All Presets- Boris updated ENB Binary .343 to change SSS effect. With 2.2 SSS settings it didn't go as well with the new coding for SSS. It caused grid and artifacts on characters under certain lighting conditions. Retweaked my SSS settings to fix this. All Presets- Updated for ENB Binary V.343 which adds in SSS effect. All presets- Boris released an update for .341 which added a [LensFlare_Game] parameter to help solve the issue for those using in-game lens flare. I have added to my presets and adjusted as needed. 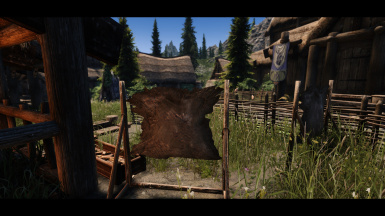 COT, Vanilla & Rustic Presets- Updated for .341 Binary. Adds in animated star effect. (On by default but, varies by star texture mod used). Also (Thanks to Rudy) added in SMAA to the enbeffectpostpass shader. This is on by default. NAT, Vivid, Obsidian and Aequinoctium Presets- Updated for .341 Binary. Adds in animated star effect. (On by default but, varies by star texture mod used). Also (Thanks to Rudy) added in SMAA to the enbeffectpostpass shader. This is on by default. Adjustments to TOD, DPX and Technicolor color settings, adjustments to sky gradients and fogs. All Presets- Updated for ENB Binary V.338. Added in EdgeAA (Although, I do not have enabled because it causes shimmering). Adds in dithering (Turned on post dithering). Adds in cloud clamp settings. Disabled ENB Rain due to amount of complaints for black rain. 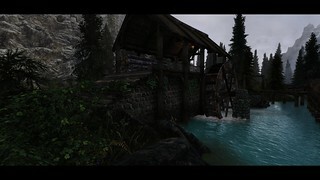 Could not fully remove issue so, figured best to disable and let users turn on ENB rain if they want it. All presets- Updated for ENB.334. Which has better performance and adds in ENB SSAO denoiser setting which helps smooth out AO. Obsidian Preset I also reduced red tones. Vivid Preset (9 Apr) Updated for .331. Also updated for last .330 update which added in parameters for specular under eyes, vegetation and objects. Also, disabled cloud shadow effect. Adjust fogs, sky gradients and clouds. Slight adjustment to colors. Obsidian Preset (9 Apr) Updated for .331. Also updated for last .330 update which added in parameters for specular under eyes, vegetation and objects. Also, disabled cloud shadow effect. Adjust fogs, sky gradients and clouds. Slight adjustment to colors. NAT Preset (10 Apr) Updated for .331. Also updated for last .330 update which added in parameters for specular under eyes, vegetation and objects. Also, disabled cloud shadow effect. Adjust fogs, sky gradients and clouds. Dolomite Preset (11 Apr) Updated for .331. Also updated for last .330 update which added in parameters for specular under eyes, vegetation and objects. Also, disabled cloud shadow effect. Adjust fogs, sky gradients and clouds. Aequinoctium Preset (11 Apr) Updated for .331. Also updated for last .330 update which added in parameters for specular under eyes, vegetation and objects. Also, disabled cloud shadow effect. Adjust fogs, sky gradients and clouds. Rustic Preset (12 Apr) Updated for .331. Also updated for last .330 update which added in parameters for specular under eyes, vegetation and objects. Also, disabled cloud shadow effect. Adjust fogs, sky gradients and clouds. Slight adjustment to saturation. Vanilla & COT Presets (12 Apr) Updated for .331. Also updated for last .330 update which added in parameters for specular under eyes, vegetation and objects. Also, disabled cloud shadow effect. Adjust fogs slightly. 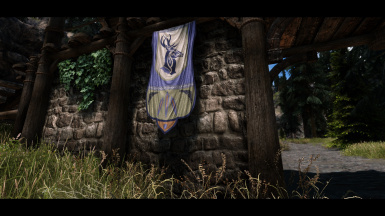 Aequinoctium Preset (28 Mar) Added new Aequinoctium Weathers Preset. NAT and Obsidian (28 Mar) Adjust Image Based Lighting, Volumetric Rays, Cloud Shadows and Rain. Fixed issue with washed out colors at times. Slight adjustment to saturation as well. 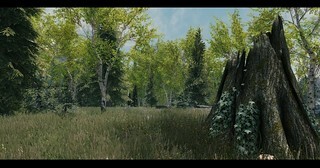 NAT & Obsidian Preset (24 Mar) Updating again (same version) to ENB Binary V.330. Adds in image based lighting. 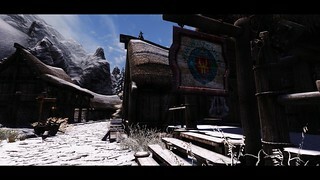 Vanilla Preset (26 Mar)- ** Big Adjustment***Updated for ENB Binary V.330. 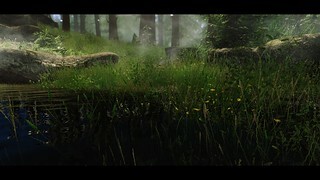 Adds in image based lighting, cloud shadows, procedural sun, rain refraction, volumteric rays and more fog control. Also, adjusted lightsprites, clouds, sky, rain, bloom and volumetric fog slightly. Also slight adjustments to contrast, HDR and Saturation and other color levels. Adjusted ENB Rain settings and changed to new ENB rain texture (texture by Matso). Updated all presets to go with the new ENB Binary V.327. It adds specular adjustments as well as ENB rain effect. 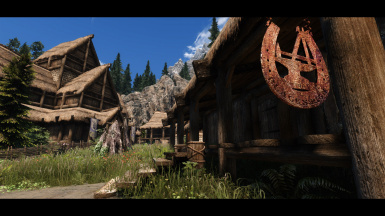 Additionally, adds a hotkey for ENB DOF (Shift+F7). Also adjusted Vivid and NAT Bloom settings slightly. Also, slight adjustment to red setting for Obsidian Preset. No other changes. Updated NAT, Vivid, Obsidian and Dolomite Presets Only. Adjusted settings to get a better color/contrast balance. Also adjusted bloom and lightsprites to hopefully reduce overly bright fires and light sources. Adjusted sharpening, HDR, DPX, Technicolor 2 and other TOD settings. Updated all presets DOFs again to remove blurring of character in 3rd person view. No other changes. V4.8a- Updated all DOFs with newer version of the DOF Shader by Marty McFly. Had to rework all settings though do to previous settings now working the same way. 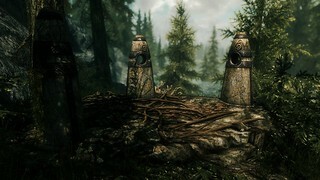 Updated all presets with new SSS sections (Eyes, Objects and Vegetation) that was added into V.325 of the ENB Binary. All presets updated to work better with ENB Binary V.320. Now preset have sky and direct/ambient lighting control. Adjusted the default DOF to have a better focal point as well as set a closer distance to object before DOF kicks in. Also adjust blur strength and bokeh effect. Made previous version default DOF now as the "subtle" optional DOF. 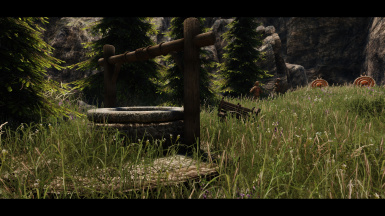 COT Preset- (ENB Only) Adjustment to bloom and minor adjustment to color settings. (ReShade Only) Minor adjustment to color settings. COT- Updated preset to work better with COT Version 5.7. Vivid- Slight Adjustment to day and night brightness/darkness levels. Dolomite Preset- Slight adjustment to sharpening, saturation, brightness and Day Night Interior settings. Vivid Preset- Tried to brighten up during the day slightly without washing out the sky. Slightly brightened the nights. Slight adjustment to sharpening, saturation and Day Night Interior settings. NAT- Slight adjustment to sharpening, saturation, brightness and Day Night Interiors settings. Added new Dolomite-NLVA II Preset. Vanilla/NAT/COT Presets- Lowered Lumasharpen setting. NAT- Preset updated with minor color adjustments and DNI (ENB version) adjustments due to an update to the NAT mod. ENB- Added 2.0 night adjuster option. 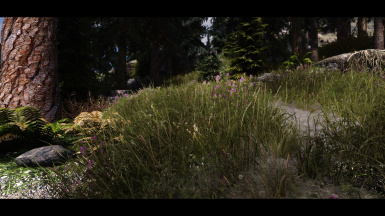 NAT Preset was updated for ENB version only. DNI settings slightly tweaked to work with updated NAT weather mod. 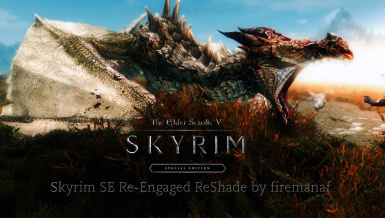 Thanks to l00ping who ported over ReShade effects I use into ENB I no longer need to have a ReShade + ENB version. ENB- All reshade effects ported over to ENB. No changes to settings in presets. ReShade Only- Just a version # Change. ENB Version Change only: Updated DOF shader to Marty McFly's most recent version. Which added better performance. I also had to change my DOF settings due to previous version settings not having the same results with new shader. I also added in an Extreme DOF option. COT- Adjustment to COT preset which I enabled adaptation effect for ENB versions to help with transition between bright/darker areas. Also some adjustments to color settings in reshade. NAT-Slight adjustment to DNI to darker nights a slight bit. 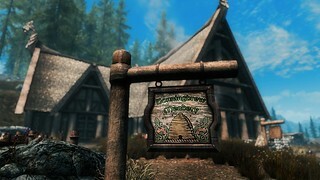 All Presets- All ENB presets has a slight adjustment to DOF effect which I added a slight strong Bokeh effect. Disabled HDR Hotkey due to it having conflicts at time which it would actually become the ReShade toggle on/off key. So, to alleviate any issues just removed the hotkey. 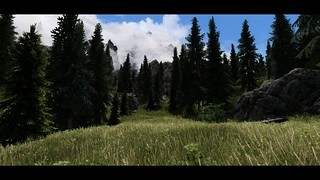 Added Natural and Atmospheric Tamriel (NAT) Preset. ReShade Version- Slight adjustment to red setting under DPX for Vanilla and Vivid Preset. Vanilla/True Storms- Adjusted saturation slightly. Removed Film Grain. Added dither. COT- Adjusted saturation slightly. Removed Film Grain. Added dither. Vivid- Updated for Vivid V1.00. Adjustment to saturation. Updated to newer version of MXAO by Marty McFly. Better performance. ReShade Changes- Disabled FXAA. Adjustment to Lumasharpen. Disabled Dither. Adjustment to filmgrain. MXAO Changes- Adjustment for better effect and performance with newer version of MXAO. Included Presets for: Default Version, Ultimate Edition, Color Correction Only and Special FXs add on. ReShade Changes- Adjustment to FXAA/SMAA/Lumasharpen. Minor color adjustment. Lowered Guassian Blur amount. DOF change- Minor adjustment to blur strength and quality. Bloom change- Slight adjustment to strength and trigger point. Wow, I am truly honored and humbled by the support received by the modding community on this ENB. I can't believe this has already received 7000+ Endorsements. 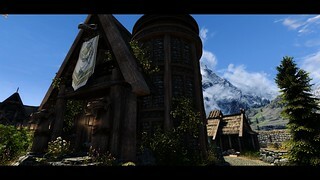 THANK YOU ALL that have taken the time to support me on my first ever Skyrim ENB. Thank you to all those have taken time to download, use, provide awesome feedback and comments and even endorse. Without the modding community, mods would mean nothing. So, thank you all. Enjoy! What Preset to use you ask??? Rustic- (Weather Mod Link: Rustic) This is a gloomy feel of a preset. Colors are toned down while not being under-saturated. 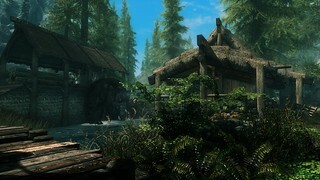 This preset tries to bring out what most would consider the world of Skyrim to feel and look like. You will find clear sunny days to look nice with some dull colors while cloudy/stormy weathers to be darker and grey. 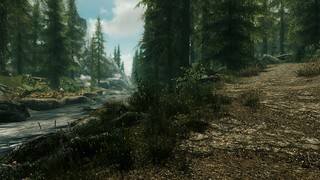 NAT-(Weather Mod Link: NAT) If you like a more natural and realistic looking game this is for you. Colors are vibrant but darker to add to the realism. Lighting is balanced out very well and appears very natural. Day time is bright and ambient and stormy weathers a grey/gloomy. You will find sunny/clear weathers more vibrant compared to colors darker in stormy/darker weathers. 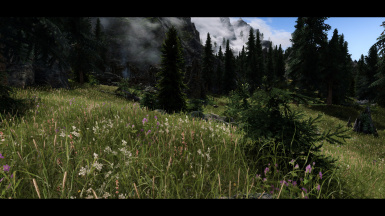 Vivid-(Weather Mod Link: Vivid) This a bit of realism with a hint of fantasy. Colors are little brighter/vibrant compared to the NAT preset especially at different times of day and depending on the weather. Lighting tends to be on the darker side. (Not dark as in no light just not as bright or ambient) Stormy weathers are dark/grey and gloomy. 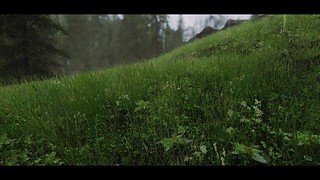 Dolomite- (Weather Mod Link: Dolomite) This is more closer to a fantasy/realism preset. This preset tends to be more on the colorful side compared to dolomite on its own. The sky is a brighter blue and the foliage can have a nice green tone to it. Depending on the weather colors will vary. The preset is a bit brighter when if comes to ambient light. Some weathers are brighter then others as well as more colorful at times. 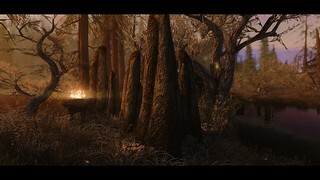 This weather mod has some very nice rays that shine through the fog and trees as well. 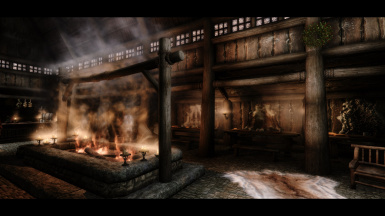 Obsidian- (Weather Mod Link: Obsidian﻿ ) This has a taste of realistic tone along with fantasy. Colors can be vibrant and beautiful while also feeling grim in stormy weathers. This version tends to have very atmospheric foggy weathers and cold and dark rainy weathers. Clear weathers are bright and colorful. Vanilla- If you like staying along the lines of the new Skyrim SE visuals by Bethesda. Here are some videos of the different presets Re-Engaged offers. Here are some shots to give you an example of what the presets can look like. Also, see mod list below to see what mods are used in shots. 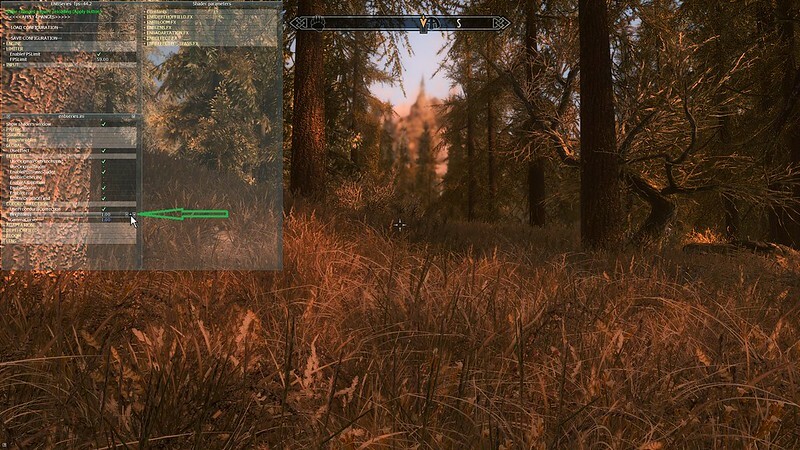 Gamma/Brightness- I would leave at default (1.0 in SkyrimPrefs). However you can adjust as needed if you find too dark. 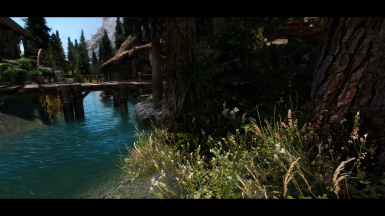 Note: If you are using ENB version you adjust brightness via the ENB menu by hitting shift+Enter and under colorcorrection adjust brightness. But this will apply to all times of day. I would recommend more using the enbeffect file to adjust Day Night and Interior (DNI) settings. See video on how to in the install section below. Screen Space Ambient Occlusion (SSAO)- I would leave on unless you are using my Ultimate & Quality Presets which have ENB SSAO-SSIL added and you can then disable SSAO. Otherwise this is personal preference. Anti Aliasing/Sharpening- This really a personal preference between TAA, FXAA and ENB AA. I prefer TAA. 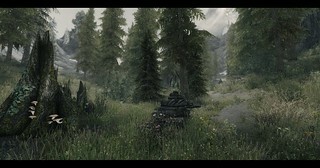 But, as of V5.8 I have added ENB SMAA and is on by default. It is up to you if you want to use in-game AA along with ENB AA or one or the other. It comes down to preference. 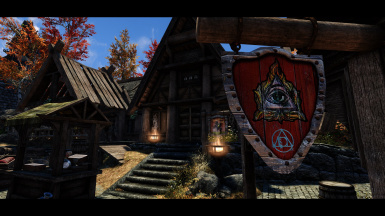 Some find in-game FXAA along with ENB SMAA to look good. Note: If you find you sharpening is too much in my preset if could be the combo of the AA settings and my sharpen settings. 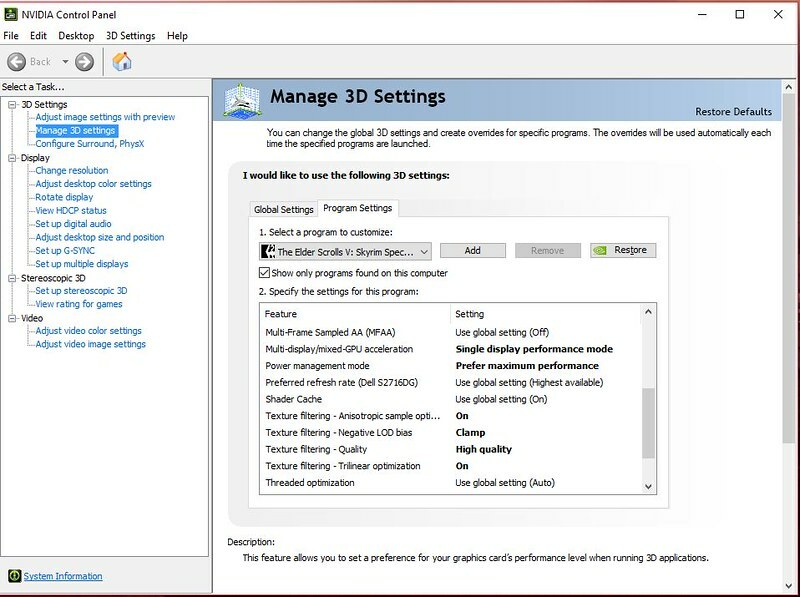 My sharpening settings are based on the average user most likely using TAA for AA only and not having and GPU adjustments. You will most likely have to adjust sharpening in you find sharpening to strong. 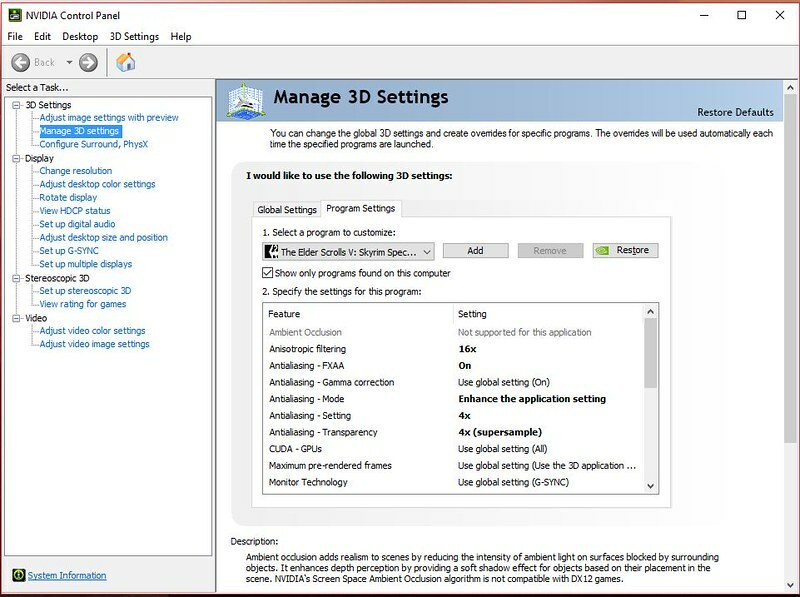 GPU Driver Setting for AA- You enhance your AA through your GPU as well as turn on FXAA, AF & Texture Filtering. Especially if you are noticing shimmering effects in LODs and in Trees/Grass. 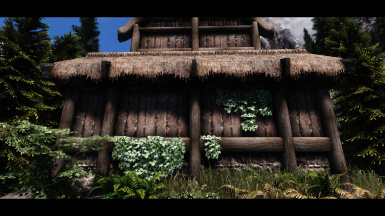 ReShade and ENB version are the exact same except ENB version is using ENB DOF (Better than ReShade DOF) and Bloom effects in the Ultimate Presets. Plus as of 2.8.1 ENB version use day night interior shader to allow individual adjustments for brightness, contrast, saturation and tone mapping. 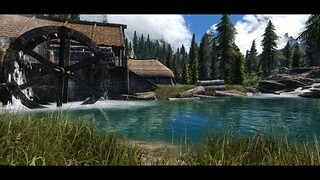 As more updates come out for ENB I will be adding more to the ENB version. 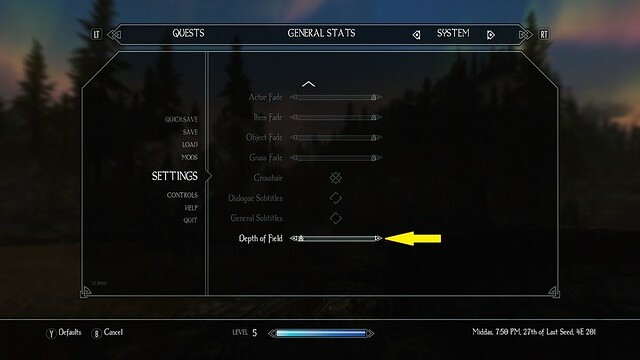 For those having questions about to use the ENB menu or how to adjust certain settings. Time stamps in the video description. 6. Then choose version of the preset you want (Ultimate, Quality or Color Correction) open folder and copy contents and paste into game folder. 1. 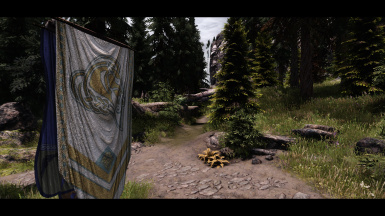 Go to http://enbdev.com/download_mod_tesskyrimse.html and download latest Skyrim SE Binary. ( if you don't want to use ENB dont do steps 1-3)2. Extract file and open Wrapper folder.3. Copy ONLY d3d11.dll and d3dcompiler_46e.dll4. Paste into your SkyrimSE game folder (where you launcher file is)5. 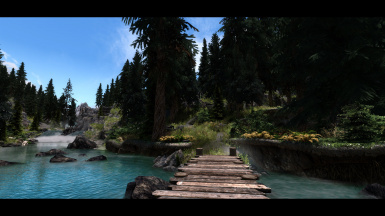 Open Re-Engaged ENB folder and open the Main File Folder (Install) and open version you want to use (Full Quality, Quality, Performance) 6. Paste all contents into your Skyrim SE game folder. (where your launcher file is)7. (Optional if you don't like this default DOF) Go to Optional DOF Strengths Folder and chose a version of the DOF you want. 8. Copy contents of folder and paste into your SkyrimSE game folder and allow to overwrite. What is each Quality Version? Ultimate Edition- This is for those that want best image quality and are ok with the performance hit. This includes all effects such as Bloom, DOF and SSAO-SSIL active which really enhance the image. Color Correction Only- This is for those that want only the color corrections to maintain good performance. All heavy hitting effects such as DOF, Bloom and SSAO-SSIL are disabled. 1. Remove all files that you pasted into your game folder. Sorry it really is that simple to uninstall. But here is a key list of mods I am using that you see in my screenshots/videos ( I am using a lot more than these but, these are the one that affect my screenshots/videos) This is by no means an all inclusive list and not saying these are the best mods to use. They are just some of the visual mods I use at this time for my skyrim. 2. If that doesn't work switch to reshade only version and rename dxgi.dll to d3d11.dll. Sadly wont be able to use ENB. If you are running game in windowed bordeless mode try switching to Fullscreen mode. Also, if you are using the ENB version you can try opening enblocal file and make ForceVsync=false to true and EnableFPSLimiter=false to true. Open ReShade and open McFX and adjust #define DOF_BLURRADIUS 10.0. Higher is more blur. Lower is less blur. If you find the image too dark or bright. You probably need to calibrate your monitor. 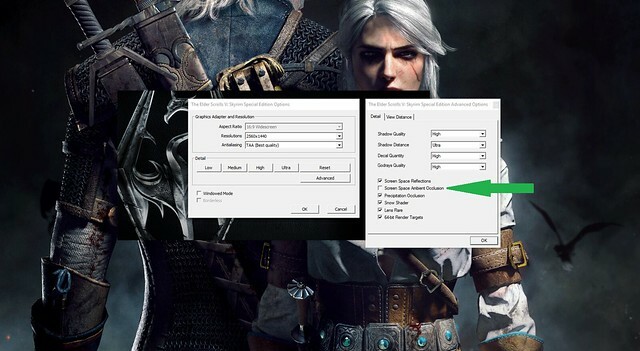 "Apply Game Color Correction" in the enbeffect section, this enable vanilla image spaces however my preset is not tuned for this to always be active and will make the image looked washed out at times/brighter and colors may look off. Also to all users that have shown their support.